Definition - What does Side Plank Pose With Tree Legs mean? Side plank pose with tree legs is a more advanced variation of the balancing pose, side plank pose. It combines the benefits of both side plank and tree pose. 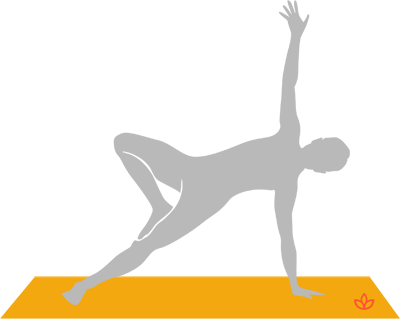 In this posture, the body forms one straight line, side-on to the ground. It is supported by one hand and the outer edge of one foot. The other leg forms a tree leg shape with the sole of the foot pressed into the inner thigh or calf. Side plank pose with tree legs is known as a variation of vasisthasana in Sanskrit. This posture may also be performed with the body supported on the forearm instead of the hand. This still achieves all the benefits above while alleviating pressure on the wrist. Side plank pose with tree legs is a preparatory pose for side plank pose with half lotus legs, and is a good modification of this pose if half lotus is not accessible.